On a rainy afternoon in June, Gerald Campbell sits in the kitchen of his house and looks out of the window. He begins to tell a few vignettes about his life and his songs over a cup of tea and a bit of cake that his wife Carly has prepared. Gerald was born in Branch, St. Mary’s Bay in the old house across the yard, which he can see from his window. He jokes and says that it since has been taken over by the dog. He lived in Branch all his life, except for times he went away to work when he was younger. Gerald loved to listen to and learn the songs he heard at parties, and especially so during the Christmas season when there were parties every night at almost every house. It was difficult to choose then to which house to go, because the singing in one was always better than the in the other. No one really worked during that time, and the wood was cut in advance to last for 12 days in a row. When he was older, Gerald travelled to Mariposa Folk Festival twice. Aidan O’Hara, who worked for CBC, had arranged for him to go. The first time he went with Susan Shiner, and a second time together with Mary and Anthony Power, Pat and Joe Byrne, and the Wareham brothers. He also met Rufus Guinchard, who prompted him to sing a song he was known for: The Sweet Forget Me Not. It is one of Gerald’s favourite songs. He learned it from his mother when he was young. 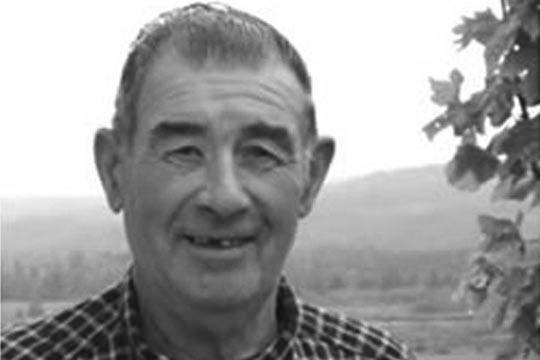 Eddie Coffey picked it up from him and so did Irish singer Dolores Keane, when it was brought to her to Ireland by Aidan O’Hara on a recording he made from Gerald Campbell’s singing of the song. Gerald was responsible for keeping the song alive and contributed greatly to the revival of its popularity when it was covered by those two artists.